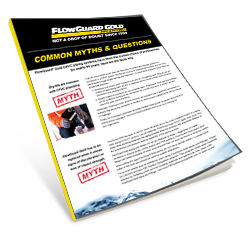 Common Myths & Questions about FlowGuard Gold® CPVC | Lubrizol Advanced Materials, Inc.
FlowGuard® Gold CPVC piping systems have been the trusted choice of professionals for nearly 60 years. Have specific questions about the application of FlowGuard Gold CPVC? We've addressed six of the most common myths and questions with proven research.